More than 20 volunteers worked together on the West Shore this fall to plant 220 sugar pine trees. TAHOE CITY, Calif. — The Rotary Club of Tahoe City recently teamed up with Sugar Pine Foundation to plant over 200 trees. Sugar pines, which are best known for their gigantic pine cones, have been plagued by blister rust, a fungal disease that kills over 90 percent of the trees it infects. The Sugar Pine Foundation has developed a restoration strategy by identifying blister rust resistant trees and planting their seedlings. 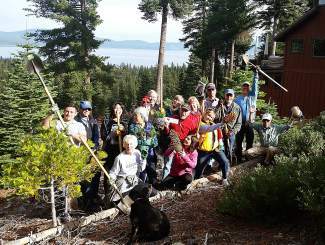 With over 20 volunteers composed of The Rotary Club of Tahoe City and fantastic community members who wanted to help keep Tahoe beautiful, 220 trees were replanted in the basin. Through combined efforts like this, we will have those amazing pinecones for generations to come. Thanks to all that participated in this great event on that beautiful fall morning. 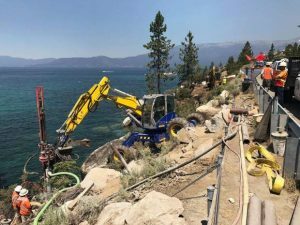 For more information on how you can help with this project or the many other community efforts Rotary Club performs year-round, message The Rotary Club of Tahoe City on their Facebook page. We are always taking part in projects that help our community. Whatever your passion is, I am sure that we are involved in a project that you can get excited about and we would love to have your help. Together we can do great things. Visit sugarpinefoundation.org to learn more about the Sugar Pine Foundation. 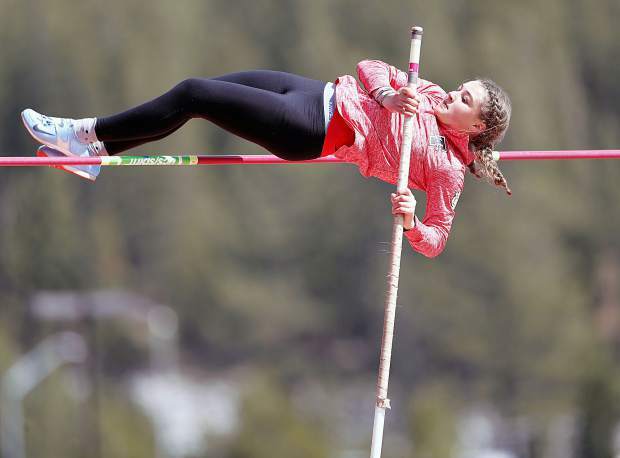 Michael Marrone is a member of the The Rotary Club of Tahoe City. 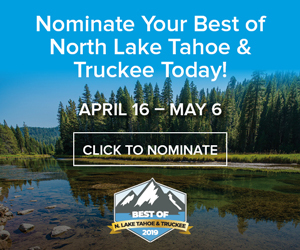 Visit tahoecityrotary.org to learn more.